Successfully running a B2B operation means that having a website is a must. A polished and professional web design can instantly tell other companies that you take your business seriously. Most importantly, your site layout can immediately convey powerful branding . 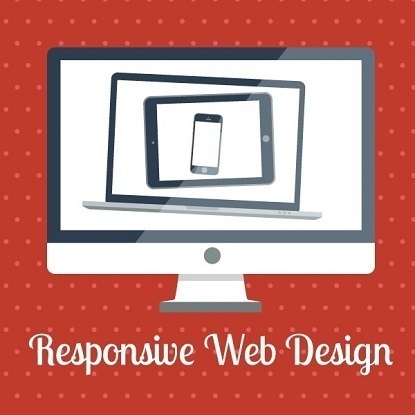 Responsive websites are optimized for functionality. The goal is to make users’ experiences with your website useful and valuable. Here at Design & Promote, as a Chicago web design company, we design for mobile users—not just laptop and PC users. We know firsthand that today’s global consumers are accessing corporate sites anywhere and at anytime through the use of smartphones and tablets. Unlike other Chicago web design companies that only specialize in computer site designs, our team at Design & Promote recognizes that surfing the web using mobile devices is no passing trend. We firmly believe that our clients must offer consumers seamless access to their corporate site at all times to ensure they are evolving with the ways business transactions are being made. Responsive web design allows mobile users to access information on website easily. Understanding some of the main differences between a responsive and mobile website can help you decide which one makes the most sense for your business. At Design & Promote, we know that accessing (and more importantly, purchasing from) business sites using mobile devices is likely to only gain momentum in the upcoming years. However, unlike other Chicago web design companies that promote creating a separate mobile site for partners, we also offer our clients a responsive site option. Seamless user interaction with a website on a mobile makes all the difference. Interactions can be defined as a touch, tap, and scroll. All of those tiny interactions tie up with a larger goal such as a purchase, filling out a contact form, etc. Great Chicago web design companies know that building a responsive website takes time and consideration. A mobile site acts as an entirely separate entity from a business’ main website; however, a responsive site uses all the same HTML code as the main page. This can be a big deal when clients want to search engine optimize their site. Essentially, when you choose a mobile site over a responsive site, you have to do SEO for both sites. More details on this later down in the post. Rather than completely reinventing the wheel, a responsive site takes the original code and incorporates CSS to appropriately scale the page and stack information to fit on various sized screens. At Design & Promote, we know that offering a responsive website option for our clients yields an impressive range of advantages and benefits. By using the same code, our partners have the assurance that, no matter how their site is accessed, visitors will enjoy a seamless, consistent final layout. Also, mobile websites often get overlooked by search engines due to high “bounce rates.” By freezing or throwing users off the page, Google and other browsers instantly lower the perceived quality of the site. Responsive websites offer lower bounce rates and can immediately boost the attention your links get during search results. Finally, mobile applications require the creation of independent copy and content. Not so with a responsive site. You’ll be able to use the same optimized content on both your main and mobile device site. The result? You will be able to maximize ROI on your SEO campaigns without having to worry about individual tweaks, modifications and enhancements. What information are my users going to need? What are the actions that they need to take on a device? Mobile screen sizes are limited information that can be displayed. How are we going to layer this information for users? Want to see for yourself how Design & Promote stands apart from other Chicago web design companies? Contact us today to discuss your online marketing vision! Download our E-book to learn about more web design concepts.